A big thank you must go to Dave over at Rambooks, who scanned and sent this over along with some other great catalogue copies I’ve still to edit. 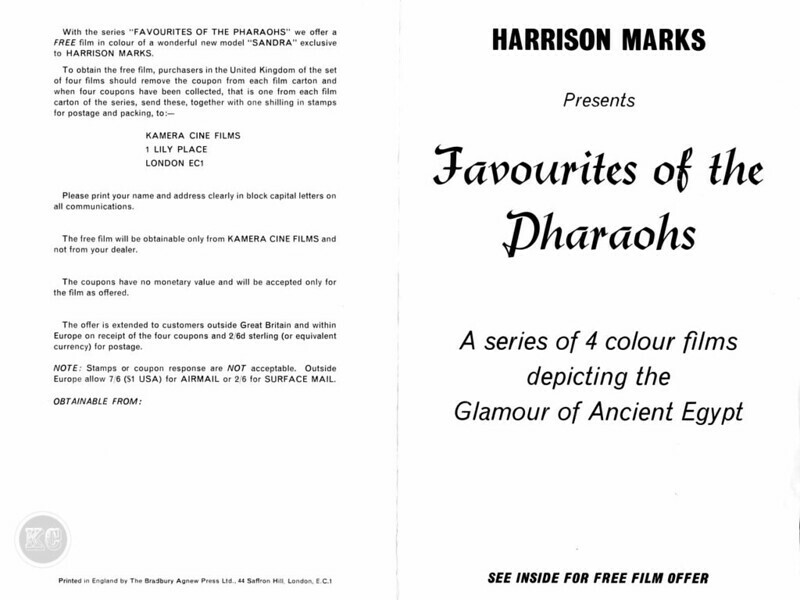 A four page leaflet for the Harrison Marks’ 1963 New Colour Slide series featuring Tina Graham (Christine Carter) on the cover. Some fabulous new sets offered in packs of 8 and I must have posted at least one shot from each of the sets offered over my time doing this blog, as there are lots of familiar shots of models in this leaflet. Thanks again to Dave over at Rambooks, who scanned and sent this fabulous copy of the leaflet to add to my growing catalogue collection. The special offer of an exclusive colour film of Sanda is of course Sandra Cassano and hat a fabulous colour leaflet to add to my growing collection of vintage catalogues.